Help your child: Build confidence under examination conditions and overcome nerves, develop effective examination techniques, become familiar with the format of the CEM 11 Plus used in Birmingham, Walsall, Warwickshire & Wolverhampton. 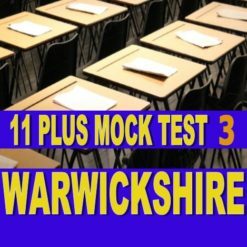 We perform detailed research to ensure that our mock exams are as close as possible to the Birmingham, Warwickshire and Walsall 11 Plus Exams. Children, who sit our exams, can rest assured that they are undertaking a practice test that resembles the actual 11 Plus. Our Birmingham 11 Plus Mock Exam reports give you all the information you need to understand your child’s performance. You can clearly identify areas of strength and weakness. 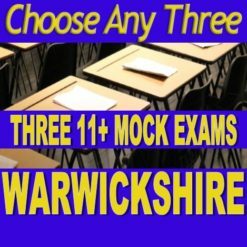 Additionally, our 11 Plus Mocks show you, how your child has performed compared to other children who are also preparing for the same exam. For just £40 you can book a mock exam review following each of our 11 plus mock exams. Your child will spend 2 hours in a small group setting with an expert tutor who will go through all test questions and give top tips for 11 plus success. When preparing for any exam or test confidence is key to success. One of the most effective methods to build confidence is practice. 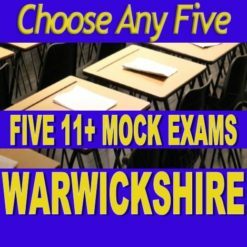 That is why all schools hold mock exams before GCSE’s, most good driving instructors conduct mock driving tests and many of us will rehearse before going for a job interview. 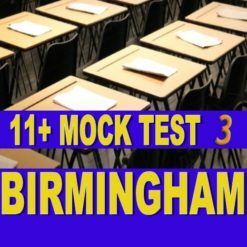 Birmingham 11 Plus Mock Exams provide an excellent opportunity for high quality practice. Packages are available at a reduced rate. You will surely agree that the Birmingham 11 plus is a daunting experience for a 10/11 year old. Because of this every year we see children who experience nerves. When your child is exposed to the live examination conditions at our Birmingham 11 Plus Mock Exams, there is an excellent opportunity to overcome nerves and build confidence. Our advice is to leave nothing to chance. Overcoming nerves is just as important as 11 plus knowledge. Even the most able children make mistakes. 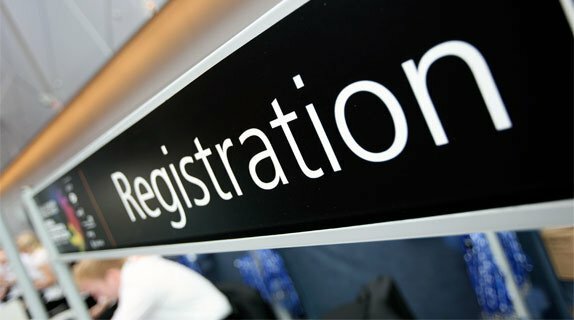 The only way to overcome what are often called “silly mistakes” is to practice examination technique. When your children were young and just starting to walk, we are sure there were plenty of tumbles until they felt their feet, and developed the ability to walk consistently. Our Birmingham 11 Plus Mock Exams are carefully designed to challenge the most able children whilst presenting an opportunity to build increased consistency. To be successful, your child needs to build a wide ranging and diverse vocabulary. This vocabulary knowledge needs to be thoroughly perfected. The value of reading skills should not be underestimated. Not only do increased contextual reading skills help your child widen their range of vocabulary, they also give your child the best chance of answering 11+ advanced comprehension questions. Your child needs to build knowledge, speed and accuracy to be successful in 11+ Maths and 11+ Non Verbal Skills. Before your child can succeed in the Birmingham 11 Plus Exams there is a need to develop knowledge of how to answer questions. After your child understands how to answer questions, the next step is to build speed and accuracy. The key to success in this area of the Birmingham 11 Plus Exams is to develop consistency in performance. The best way to advance in these four areas is regular examination practice. 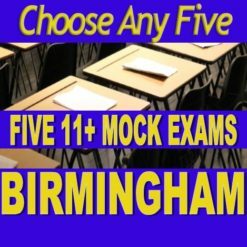 Your child can benefit from Birmingham 11 Plus Mock Exams below to perfect each of these skills.